Exploring relationships in complex datasets is one of the challenges in today’s big data era. The graph-based visualization approach, which integrates the advantages of graph analysis theory and visualization technologies and combines machine and human intelligence, has become an effective means for analyzing various relationships in complex datasets. In this paper, we first introduce a graph-based visual analytics model for associated data. 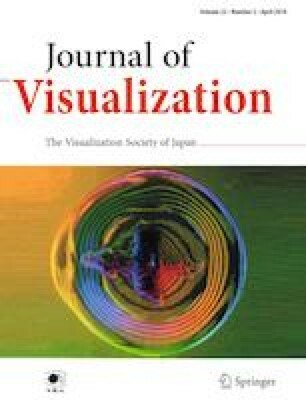 Then, we summarize seven typical visualization methods for associated data according to their layout features, including their node-link diagram, adjacency matrix, hypergraph, flow diagram, graphs with geospatial information, multi-attribute graph, and space-filling diagram and discuss their advantages and disadvantages. We describe current graph simplification and interaction techniques, including graph filtering, node clustering, edge bundling, graph data dimension reduction, and topology-based graph transformation. Finally, we discuss the potential challenges and developmental trends of the research direction. This work is supported by the Basic Research Project of the Ministry of Science and Technology (Grant No. 2015FY111200), the Beijing Science and Technology Plan Project (Z161100001616004), the National Key Research and Development Program of China (Grant No. 2018YFC1603602), and the Open Funding Project of State Key Laboratory of Virtual Reality Technology and Systems, Beihang University (Grant No. BUAA-VR-17KF-07). The authors would like to thank the ChinaVis2018 conference, which provided the exchange platform for our research.